The information shown may be incomplete or inaccurate. 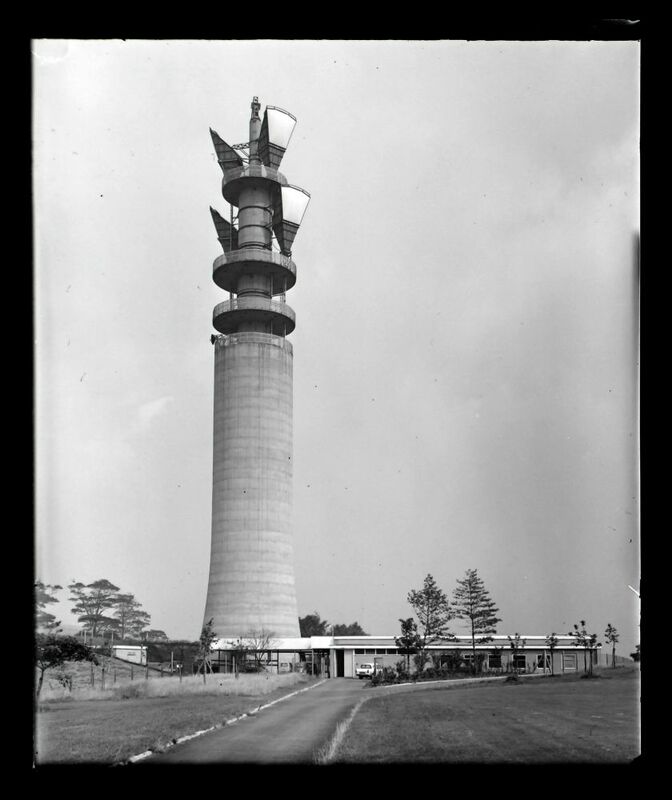 Heaton Park is Manchester's "Post Office Tower" however it was built outside the central area and is of the "Chilterns" type rather than an individual design. 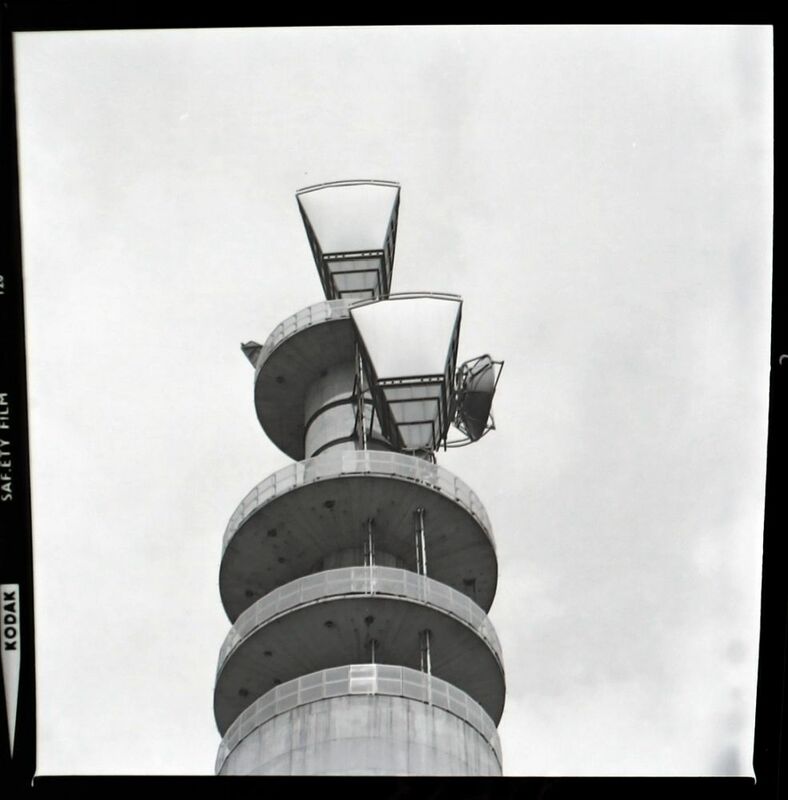 It seems the 1960s network planners had to balance the cost of building a tall tower in the city centre against the option of a shorter tower on high ground, needing cable links. The chosen site was adjacent to an existing "Wireless Station" - this appears on a 1952 OS map and is assumed to have been established for police communications. 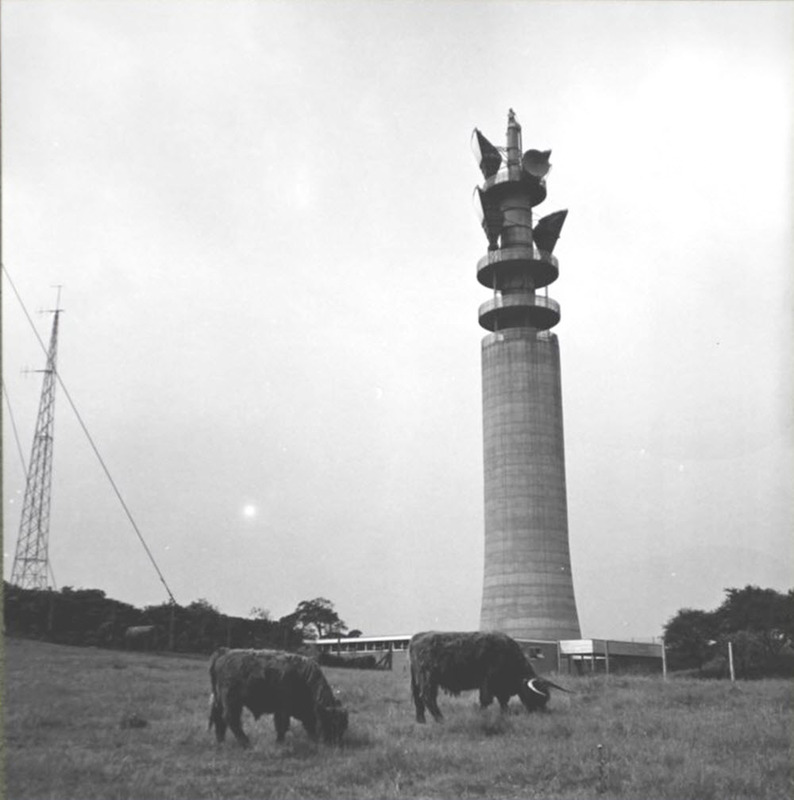 Initially the site served two purposes: a connection serving Manchester on the main north/south route (including television links for BBC and ITA) and a local link to the Emley Moor television transmitter which carried the Granada/ATV service until mid-1968. The 1951 BBC television link from Manchester to Kirk o'Shotts was replaced by new circuits running via Carlisle as part of the new arrangements. The main route was equipped with pairs of horns, allowing operation at 4 and 6 GHz. The link to Emley Moor (via Windy Hill) used a single dish and operated at 2 GHz. 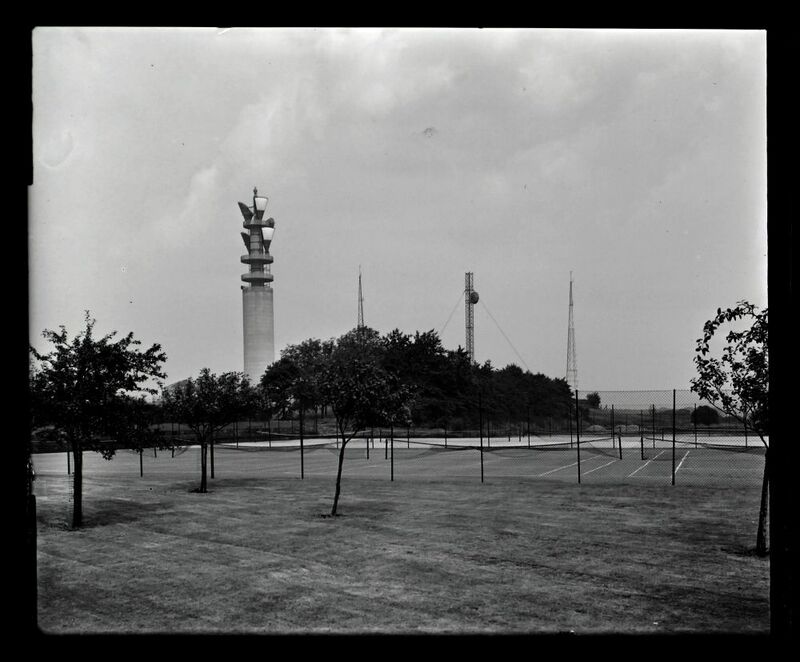 1966 photos show the tower complete with antennas but a short mast may have been used on a temporary basis for the link to Emley Moor. The "Backbone" route bypassed Heaton Park, running directly between Sutton Common and Windy Hill, in line with the design philosopy for that network. 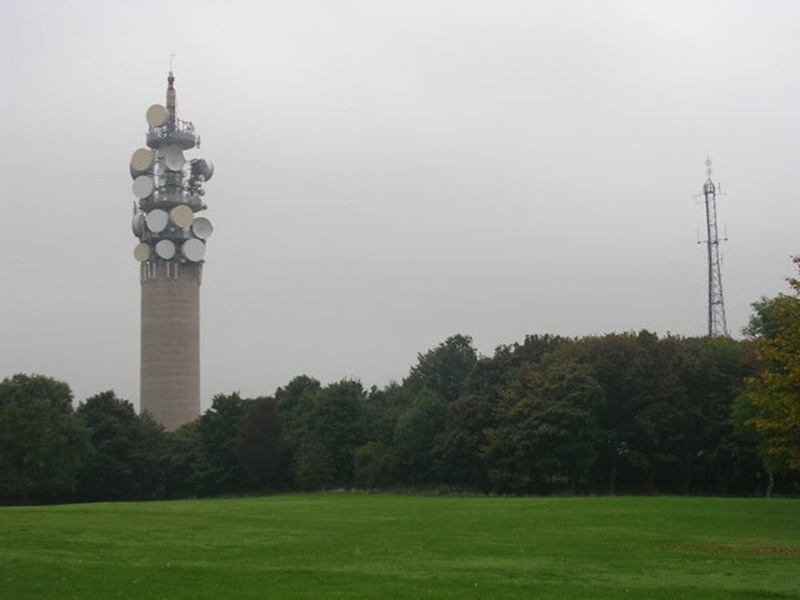 This route operated at 6 GHz initially but later moved to 2 GHz to remove a conflict when the 6 GHz band was reqired to provide new television links between Manchester and Leeds for Yorkshire TV and BBC2 transmission from Emley Moor. Maps of the trunk network show a "direct" route from Manchester to Newcastle which became possible following this re-arrangement. A fourth link was added in the late 1970s as part of a new route from Dublin to Manchester, via Pale Heights. In the 1980s the telephony routes migrated to digital systems but it seems most television links remained as analogue. The horns were removed and additional dishes added in this era. Clearance of the tower appears to have started around 2009 with very few dishes remaining at the end of 2010. The site now acts a hub for local SHF links for BT and mobile network operators. Showing the horn antennas seving the main links, viewed from the south. The dish facing Windy Hill is just visible. The dish on the short mast to the right appears to be facing in the same direction and may have been provided for the link to Emley Moor pending completion of the new tower. The two tapered steel towers are at the adjacent "Home Office" site. In this view we see how the (circular) waveguide was arranged to run vertically - with the horns positioned so they would not obstruct the waveguide from the upper level. It is just possible to see a section of metal lattice supporting the bottom section of the lower horn and struts attached to the "core" of the tower which would hold the antenna in the correct position. Viewed from the east. The stay cables for the temporary mast are visible on the left. Looking approximately north. Two groups of dishes face the camera, directed towards Pale Heights (left) and Sutton Common (right). Behind are dishes facing Horwich (left) and Windy Hill (right). With the horns removed there is space for two dishes to be stacked where necessary. © Images from Geograph are Copyright of their original contributors and licensed for reuse under this Creative Commons Licence. Other images are Copyright of the original photographer and should not be used elsewhere without express permission.